Chris Womack is executive vice president and president of external affairs for Southern Company, one of America’s largest energy providers. In this role, Womack directs the company’s public policy strategies and oversees the company’s federal and state governmental and regulatory affairs, corporate communication initiatives and other external engagements. Womack joined Southern Company in 1988. He has held a number of leadership positions within Southern Company and its subsidiaries. He has served as executive vice president of external affairs at Georgia Power and senior vice president and senior production officer of Southern Company Generation, where he was responsible for coal, gas, and hydro generation for Georgia Power and Savannah Electric. Womack also served as senior vice president of human resources and chief people officer at Southern Company, as well as senior vice president of public relations and corporate services at Alabama Power. Prior to joining Southern Company, Womack worked for the U.S. House of Representatives as a legislative aide to Leon Panetta and as staff director for the Subcommittee on Personnel and Police, for the Committee on House Administration. Womack is an active civic leader. 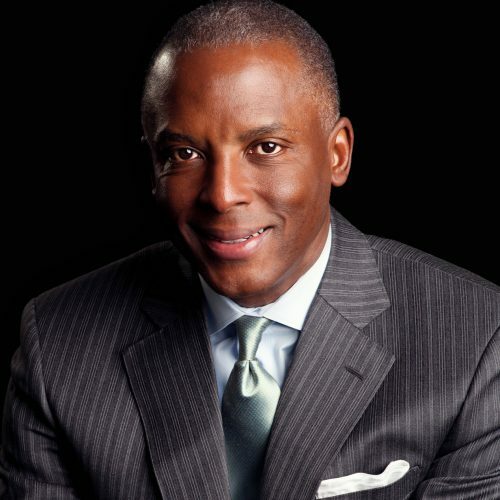 He has chaired the Atlanta Convention and Visitors Bureau board and the Atlanta Sports Council. He currently serves as a board member of the East Lake Foundation, The First Tee, the National Center for Civil and Human Rights and Western Michigan University Foundation. He has received numerous honors, including the Johnny Morrow Endowment Foundation “Man of the Year” (1996); SCLC Leadership Award (1998); Distinguished Alumni, Western Michigan University (2003); Black Enterprise 100 Most Powerful Executives in Corporate America (2012) and Black Enterprise Magazine’s 75 Most Powerful Blacks in Corporate America (2005). He also received the Boy Scouts of America Whitney M. Young Award for Public Service (2007); the Boy Scouts of America Silver Beaver Award (2010); and the Black Enterprise/Porsche Intelligent Performers Award (2010) and the National Award of Merit from Alpha Phi Alpha (2011). A native of Greenville, Alabama, he holds a bachelor’s degree from Western Michigan University and a master’s degree in public administration from The American University. He completed the Stanford Executive Program in 2001.